James DAVIS "II" [Parents] was born on 5 Jul 1771 in East Bradford, Chester, Pennsylvania. He died on 31 Mar 1854 in Midway, Chester, Pennsylvania. James married Abigale REGESTER on 15 Nov 1825. Abigale REGESTER was born on 1 May 1797 in , Chester, Pennsylvania. She died on 14 Oct 1831 in E. Brandywine Twp, Chester, Pennsylvania. Abigale married James DAVIS "II" on 15 Nov 1825. M i James DAVIS "III" was born on 29 Aug 1826. He died on 1 Dec 1910. Anthony "Shawn" HOOSER. Anthony married Nancy Ann NEWBY on 24 Nov 1990. 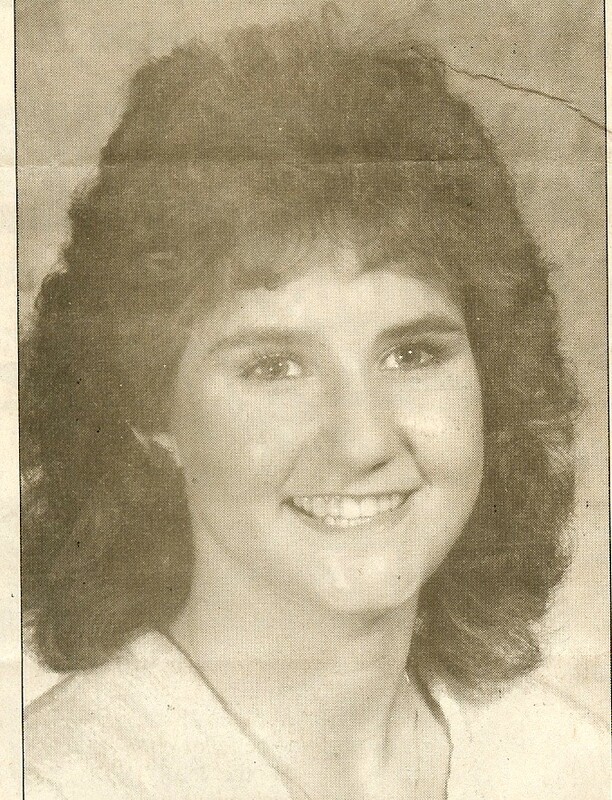 Nancy Ann NEWBY [Parents] was born on 13 Feb 1970 in Ada, Pontotoc, Okla. She died on 31 Mar 2002 in County Road 347, Pontotoc, Oklahoma. She was buried in Memorial Park Cemetery, Ada, Pontotoc, Oklahoma. Nancy married Anthony "Shawn" HOOSER on 24 Nov 1990. Elmer Lee KEYS. Elmer married Norma Sue HOOD. Norma Sue HOOD [Parents] was born on 29 Mar 1941 in Oklahoma City, Oklahoma, Oklahoma. Norma married Elmer Lee KEYS. Donald Ray HOOD [Parents] was born on 23 Feb 1944 in Ada, Pontotoc, Oklahoma. Donald married Jane WALLACH. Jane WALLACH. Jane married Donald Ray HOOD. George Wilford JETER was born on 30 Sep 1914 in , Pontotoc, Mississippi. He died on 25 Mar 1992 in Lindsay, Tulare, California. He was buried in Lindsay-Strathmore Cemetery, Lindsay, Tulare, California. George married Bertha Juanita PALMER about 1937. Bertha Juanita PALMER [Parents] was born on 29 Apr 1920 in Pickett Community, Pontotoc, Oklahoma. She died on 17 May 1973 in Lindsay, Tulare, California. She was buried on 20 May 1973 in Olive Cemetery, Tulare, California. Bertha married George Wilford JETER about 1937. F i Patricia Ann "Patsy" JETER was born on 27 Sep 1938. She died on 24 Apr 2004. F ii Barbara JETER was born in 1944. F iii Linda Ruth JETER was born in 1952. F iv Vickie JETER was born in 1958. John Vencent GAINES "Sr" was born on 26 Mar 1935 in Woodlake, Tulare, California. He died on 31 Oct 2004 in San Luis Obospo, San Luis Obisbo, California. John married Patricia Ann "Patsy" JETER on 30 Mar 1956 in , Tulare, California. Patricia Ann "Patsy" JETER [Parents] was born on 27 Sep 1938 in Ada, Pontotoc, Oklahoma. She died on 24 Apr 2004 in San Luis Obospo, San Luis Obisbo, California. She was buried in Los Osos Valley Memorial Park, Los Osos, San Luis Obispo, California. Patricia married John Vencent GAINES "Sr" on 30 Mar 1956 in , Tulare, California. Mary Louise GAINES was born on 15 Aug 1956 in , Tulare, California. Nanci L. GAINES was born on 10 Sep 1963 in , San Luis Obispo, California. John Vencent "JohnJohn" GAINES "Jr" was born on 13 Dec 1965 in , San Luis Obispo, California. Patricia A. GAINES was born on 8 Aug 1879 in , Tulare, California. Jerry LOWE "Sr". Jerry married Barbara JETER. Barbara JETER [Parents] was born in 1944 in Lindsay, Tulare, California. Barbara married Jerry LOWE "Sr". Steve STRONG. Steve married Linda Ruth JETER. Linda Ruth JETER [Parents] was born in 1952 in California. Linda married Steve STRONG. UNKNOWN. UNKNOWN married Vickie JETER. Vickie JETER [Parents] was born in 1958 in California. Vickie married UNKNOWN. UNKNOWN2. UNKNOWN2 married Vickie JETER. Vickie JETER [Parents] was born in 1958 in California. Vickie married UNKNOWN2.